Sometimes you need an amazing large SUV to be the one you choose so that you can take a drive and experience the power and quality when you’re out on the road. 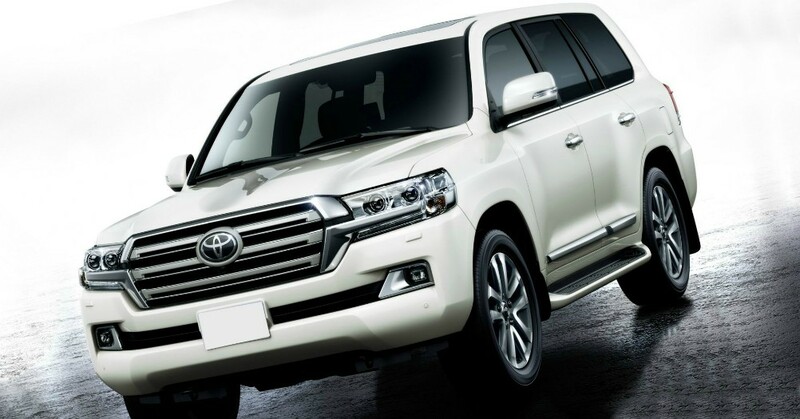 One of the most impressive on the market is the 2019 Toyota Land Cruiser, which is the largest model offered from Toyota. This SUV has been viewed as the luxury SUV in the market that wears the Toyota badge and it can be the one that you use to take your family for a road trip or on an adventure to where you want to go. The Land Cruiser brings you a cabin that has three rows of seats, a ton of active safety features, and the premium materials you’re looking for. This is a high-class SUV that brings you a bevy of buttons, knobs, and switches for off-road use while also giving you the supple leather and wood accents that will keep you comfortable. Check out the large touchscreen up front and the commanding view that you have from the driver’s seat of this impressive and large SUV that you want to drive. There’s only one trim offered for this big and brawny SUV to give you the features you want when you drive. You’ll find the off-road equipment you want, but more importantly, you’ll find leather upholstery, heated and ventilated front seats, quad-zone climate controls, a heated steering wheel, a moonroof, the Qi wireless phone charging, and a power-adjustable steering wheel. This SUV has a14-speaker JBL premium audio system, a nine-inch touchscreen, the Entune infotainment system, USB ports, Bluetooth connectivity, and a long list of active safety systems to give you the drive you want to experience in this big brute. Under the hood of the Toyota Land Cruiser, you’ll find a 5.7-liter V8 engine that makes 381 horsepower and 401 lb.-ft. of torque. This big engine is attached to an eight-speed automatic transmission to give you an excellent powertrain for the drive. This big brute can tow up to 8,100 pounds and will give you ninety percent of the torque at only 2,200 rpm to make sure you can enjoy the drive and get up to speed quickly when you need to make use of extra power in this SUV. Do you need an SUV that’s capable, active, large, and ready to drive to wherever you need to go? If so, you need to take a look at the impressive 2019 Toyota Land Cruiser and see what it has to offer you today. This big brute is offered as a complete package to make sure you can have the luxury feeling you want and the power you’re looking for. See your nearby Toyota dealership today and take this big SUV out for a test drive to see what it has to offer you.